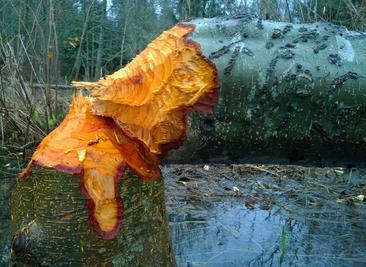 If you have beavers on or near your property, you may have trees that look like the one below. But, did you know there are ways to live peacefully with beavers and allow them to paddle around your wetland or pond, build their dams, and raise their young with little to no impact on your activities? Come hear two experts who can help you learn the tricks to ‘Living with Beavers'!